This was supposed to be my 3rd Full Marathon for 2018. I say “was” because it wasn’t. I had a great year, with a better than usual training season. I was ready for a second full marathon PR at this race. The goal was 3:05:00, but anything under 3:08:37 (current PR) would have been celebrated. As luck would have it, I totally screwed myself out of my goal. I did what I tell my clients not to do...I didn’t properly recover from my long run. Did a 20 miler, went to a wedding, danced all night long, and then woke up with a swollen ankle. Yikes! Ended up on the injured list for the 5 weeks leading up to the full marathon and per doctor's orders dropped my distance down to the half marathon. My doctor figured if I had to walk due to pain or drop out, I’d have less distance to walk if I was just doing the half. Ha! All that being said, I really want to talk about this race! The Baltimore Road Runners Club puts on a great event. 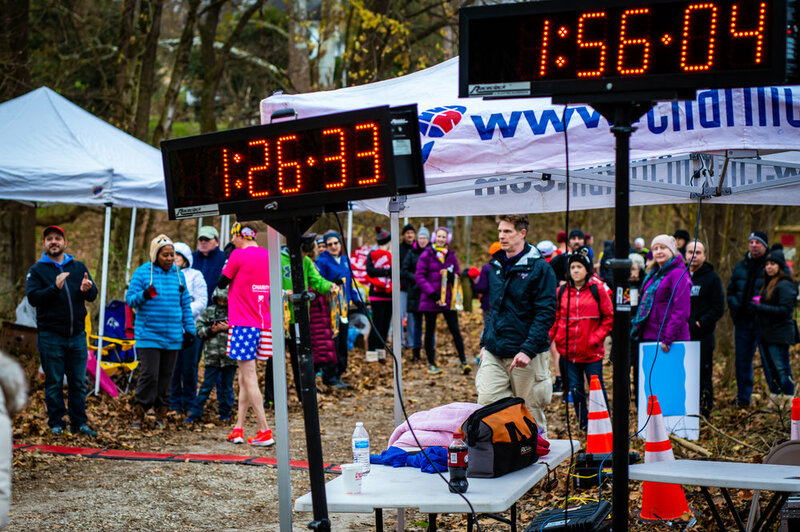 The North Central Rail (NCR) Trail Half and Full Marathon is the Maryland RRCA State Trail Marathon Championship, and takes place in Sparks-Glencoe Maryland about 30 minutes North of Baltimore. For this race, we stayed at the Residence Inn Hunt Valley which was no Ritz Carlton, but it was clean and about a 7 minute drive to the satellite lot (if you want to ride a shuttle to the start) or a 10 minute drive to the starting line area parking area. Packet Pick-up was at the Falls Road Running Store about 15 minutes from our hotel. There is no crazy race expo like some of the bigger marathons. It’s a local race, with a local feel. We walked into the store, went down to the basement, and got our packets. The race shirt was really nice. It’s a thick, high quality, half-zip with a zipper pocket on the back and thumb holes! One of the best race shirts I didn’t have to pay extra for! Friday evening we went to the Canton neighborhood in Baltimore, which has a nice square park surrounded by rustic bars, restaurants, and boutique shops. I don’t know about you, but I have no dietary restrictions before a race. 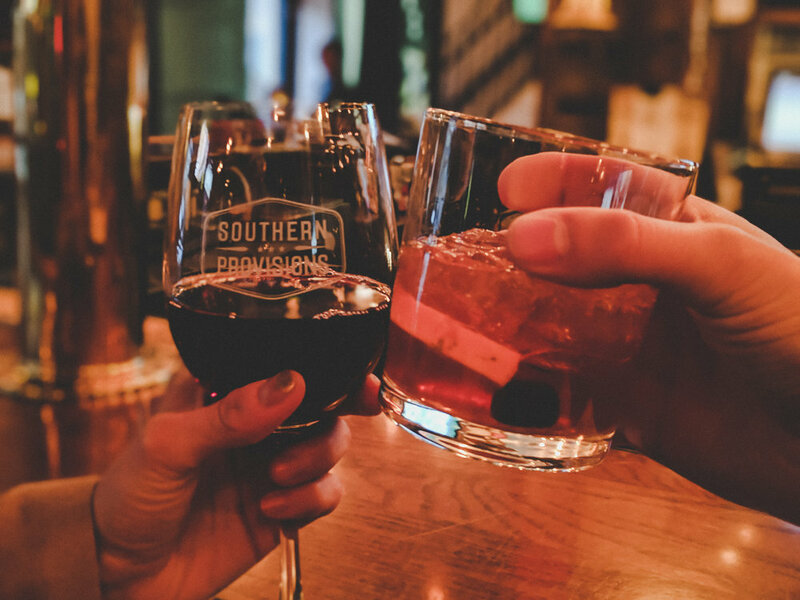 We went to a place called Southern Provisions, a hipstery warm whiskey bar, for some happy hour specials. I had a glass of red wine for $4! It was pretty great! Then we strolled over to Mama’s on a Half Shell, which is a classic Baltimore style oyster and seafood place, for a real Maryland dinner. I had a cup of seafood chowder, and my husband and I split some Baltimore cotties (it’s like a cod potato croquette) and the single crab cake dinner entree...and I may have also gotten a National Bohemian Beer (Natty Boh), which is THE BEER of Maryland. What a delicious treat it was. It’s hard to find good seafood like this in Charlotte. After dinner, we walked across the street to Dangerously Delicious Pies and got a pecan pie covered in fudge to-go. I decided it would be a good post race reward, because WHO DOESN’T LOVE PIE?!?! 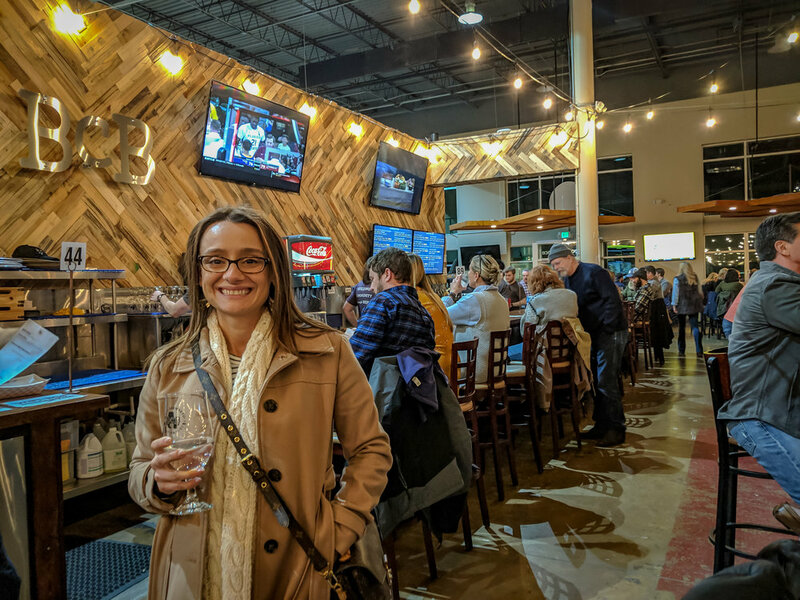 Once we took care of my potential post-race craving, we headed back up to Hunt Valley to check out B&C Brewery, and visit one of my husband’s friends. This place is a serve yourself, charge by the ounce brewery that carries a HUGE selection of beers, ciders, and kombuchas. I opted for the kombucha since it was getting late. 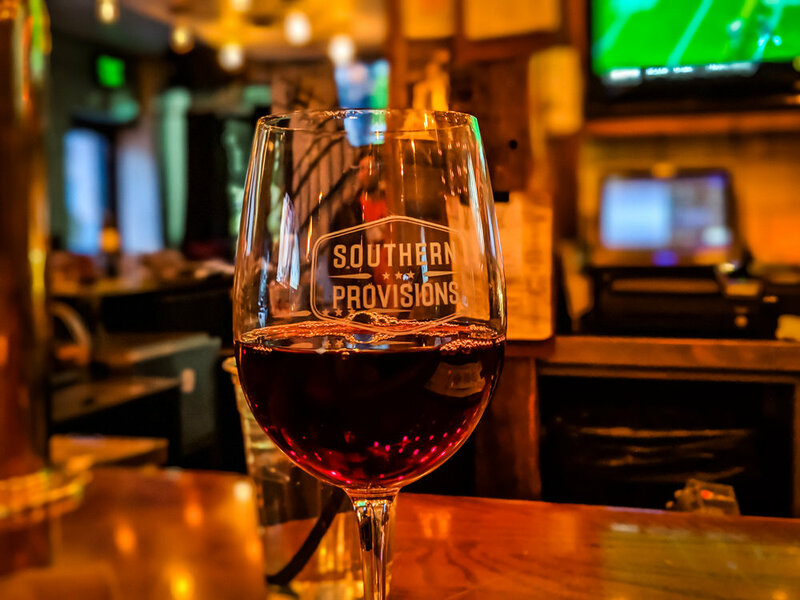 If you are staying in the Hunt Valley and are looking for a beer before or after the race, it’s less than a mile from the hotel. We head back to the hotel around 9:30 PM so I could begin my pre-race rituals before heading to bed. With my foot still bothering me from my injury, the usual foam rolling, putting my clothes out, and prepping my nutrition, now also included 15 minutes of icing, lubing my ankle up with Biofreeze, and throwing on a compression ankle brace. I got in bed a little before 11:00 PM and passed right out. On race morning I rolled out of bed around 6:15 AM, and head out the door for the complimentary hotel breakfast at 7:00 AM. For breakfast I had my usual (a banana, whole wheat bagel (plain), and coffee). We left the hotel at 7:20 AM to arrive in the Satellite Parking Lot before 7:45 AM to get on on the last shuttle to the starting line. We didn’t want to park by the starting line just in case we’d get stuck there due to road closures. If you’re doing the full marathon and plan to stay for awards, this probably won’t be as much of a concern. The waiting area before the start of the race was at Oldfields School school in the gymnasium. There was a bag check, chairs and bleachers for sitting, and snacks to munch on. The vegetable soup is supposed to be delicious, but not something I wanted to try before my run and we skipped out fairly quickly after the awards, so I failed to try it. Runners aren’t allowed to use the gym bathrooms, but there were plenty of squat-o-pots outside at the top of the hill near the start. The race director announces regularly how much time is left till the start of the race. When it’s time for your race, you walk out the gym door, up a few steps, and the starting line is right there! 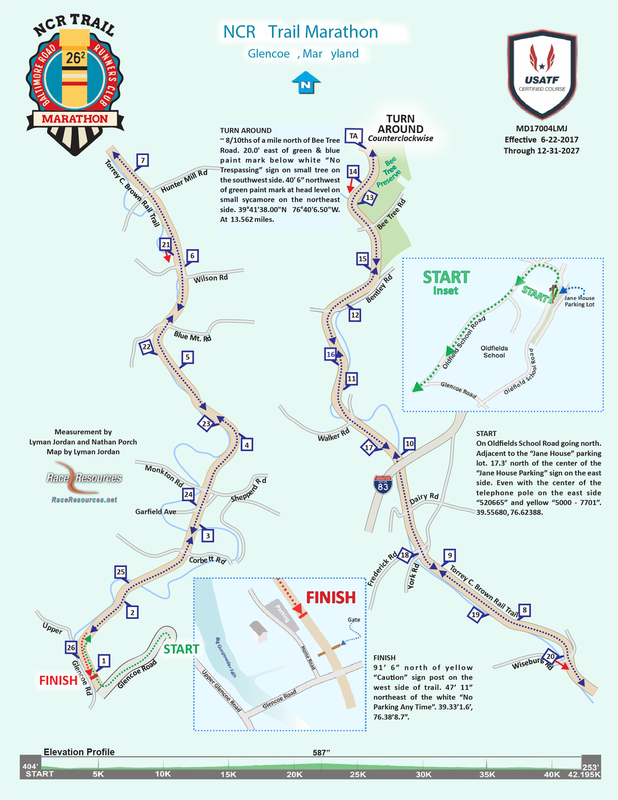 The Course: It’s advertised as the “flattest” half/full marathon in Maryland, however it isn’t as flat as you would think if you’ve never been to the state… think rolling hills and false flats. 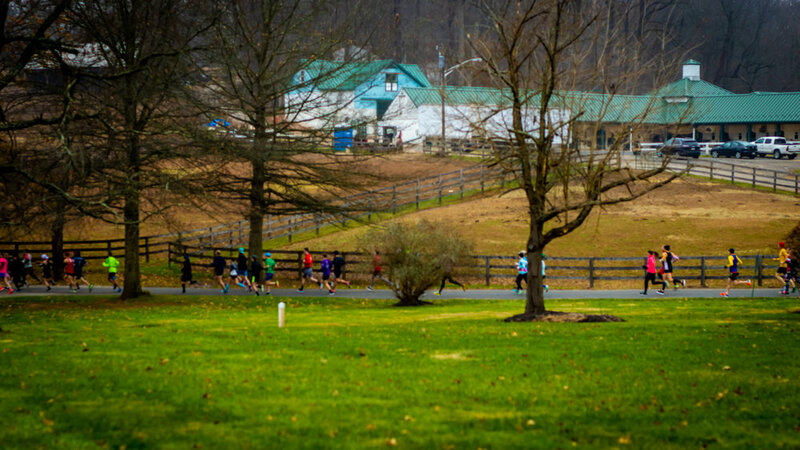 The course runs along the NCR Trail, which is made up of packed dirt and small rocks. There are water/gatorade stops about every 3.5 miles. It doesn’t have a lot of crowd support along the route, but it’s an out and back course so you will pass other runners on your way back. It’s one of the most peaceful races I’ve honestly ever done and runs along a river. Most of the last 2.5 miles are a gradual uphill climb, but the last 400m or so flattens out for a nice FAST FINISH! Once you cross the finish line you are handed a finisher medal and a GIANT sweatshirt blanket. This blanket is another thing I am OBSESSED with! The blanket alone makes this race worth doing. It’s about 4ft x 7ft, and is perfect for the chilly walk to the bus that drives finishers back to the gymnasium. Back at the gymnasium I was pleasantly surprised to see a table were I could immediately get a printout of my race results. I didn’t run anywhere near a PR, but was happy to have finished 4th Overall Female and 1st Age Group with a time of 1:31:40. This scored me a sweet beer mug and $50 cash (for top 4). The cash was another pleasant surprise because I thought they were only doing cash prizes for Top 3. After the race we head back to our hotel to clean-up before our 12:00 PM checkout. We decided when planning our trip that we would move to a hotel in Downtown Baltimore post-race for convenience. If you only plan to stay in your hotel for 1 night, I recommend requesting a late checkout because we were rushing to meet the 12:00 PM time. If you are doing the full marathon, I propose staying in the same hotel both Friday and Saturday night. we head back to our hotel for some pre-dinner cocktails at the LB Tavern bar. After drinks we met some friends at the Horseshoe Casino for dinner at GDL ITALIAN BY GIADA. 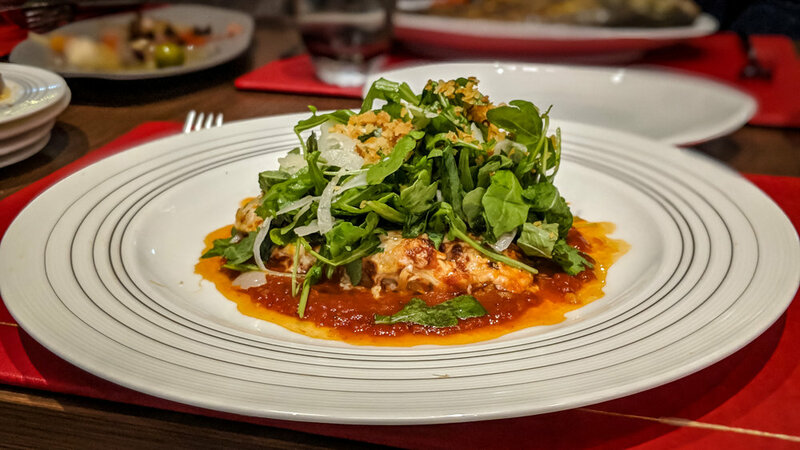 We had a delicious antipasto platter and some crab arancini to start, opted for some traditional dishes like Chicken Parmesan and a variation of pasta carbonara for our mains, and then did ricotta lemon cookies for dessert...and of course no Italian meal is complete without MORE RED WINE! Ha! After dinner we decided to give our luck a try in the casino. Not being much of a gambler, I cashed in $60 for chips and took a seat at the Roulette table. Lost a little, won a little, and ended up leaving with $80. Like I said, I don’t really gamble so winning $20 and having about an hour of entertainment was totally worth it! My BIG $20 win, concluded our night. We head back to our hotel around 12:00 AM for a good night sleep before hitting the road for our drive back to Charlotte, NC. For those of you considering running this race or just wanted to try something different, I definitely recommend the NCR Trail Marathon because it is well organized and you get some really great swag! See the latest from Perfect Pace!